I am literally willing Spring here. I just cannot take it anymore! The snow is just absolutely ridiculous so I thought that if I added some Spring colors and flavors it might just make it’s appearance and make this week’s snowstorm our last for the season. PLEASE!!! I clearly need a good dose of Spring and nothing says Spring more to me than Strawberry Lemonade. 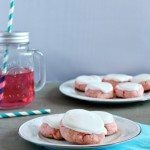 The fresh citrus flavor combined with the sweet and pretty color of the strawberries just make it perfect, which is why I thought the perfect dessert would be Strawberry Lemonade Cake Cookies. You’ve probably noticed my recent love for all things cake cookie recently. We had our Red Velvet Cake Cookies and then there was also our Hot Chocolate Cookies. 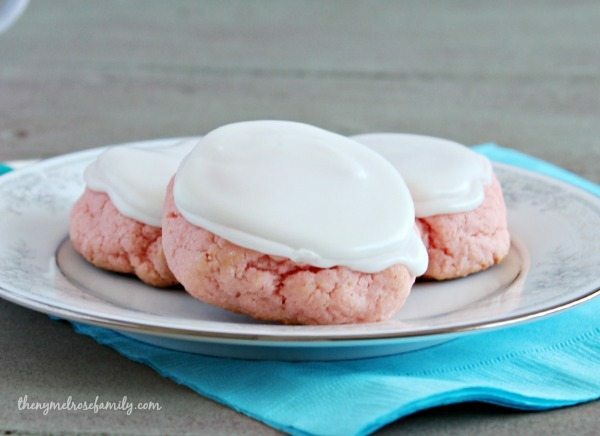 I just love how simple cake cookies are to make and these are no exception. I even went with an unconventional twist by adding Lemon Royal Icing to the top. Yes, you read that right LEMON ROYAL ICING! 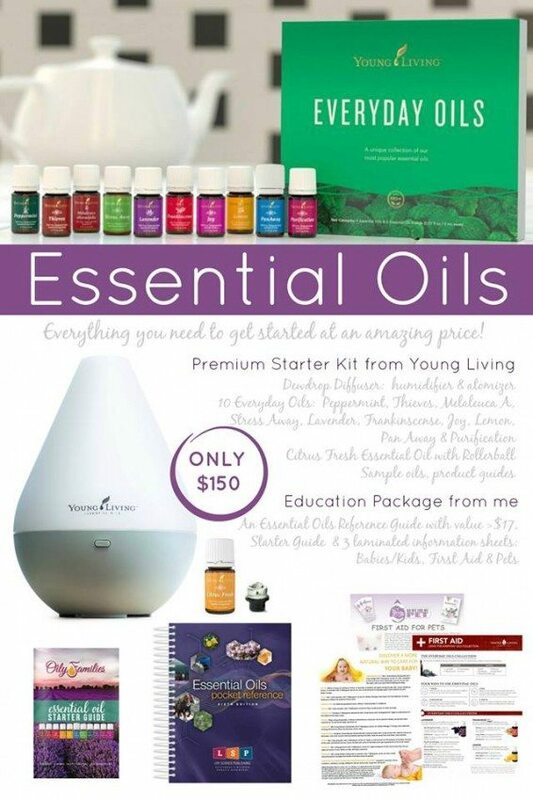 I have whole-heartedly fallen head over heels in love with my Young Living Essential Oils. One of my favorite ways to use them is actually in food, which I think many people find odd. It is so easy though! The essential oils can be used similar to extracts, but now you have a vast array of flavors right at your fingertips. I’ve actually teamed up with a bunch of my favorite food blogger friends to show you how easy it really is to use your essential oils in your cooking. This month we’re focusing on lemon essential oil so if you have a thing for lemon recipes be sure to check out the collection down at the bottom. 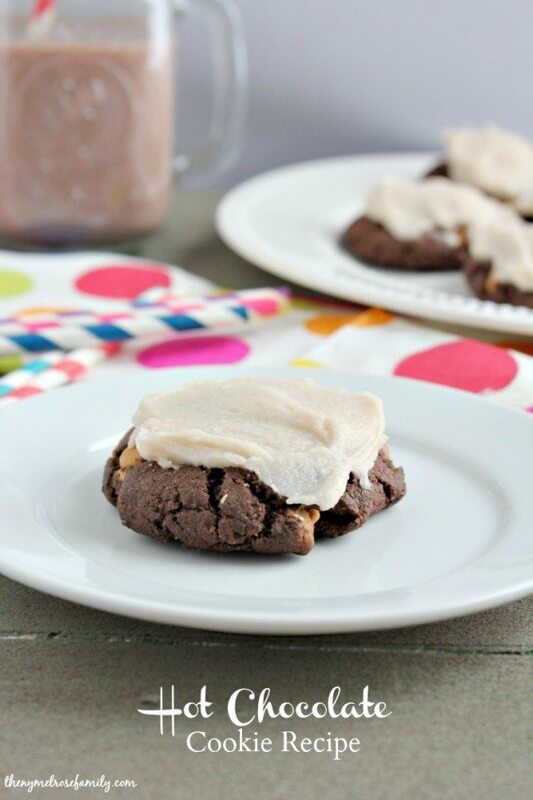 Not only is the icing ah-mazing on these cookies, but the cookie is soft and flavorful. Cake cookies are by far the easiest type of cookie to make. 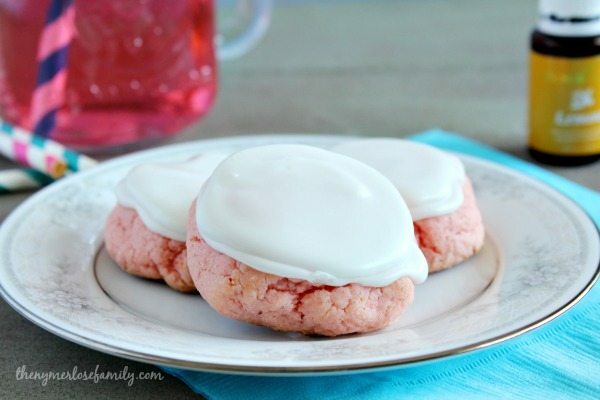 I used Pillsbury Pink Lemonade Cake Mix as my base for the cookie. One thing that I accidentally learned was that using coconut oil on my favorite cookie sheets definitely gives the cookie a nice little crunch on the bottom. Preheat the oven to 350 F and line a baking sheet with parchment paper or grease with coconut oil. 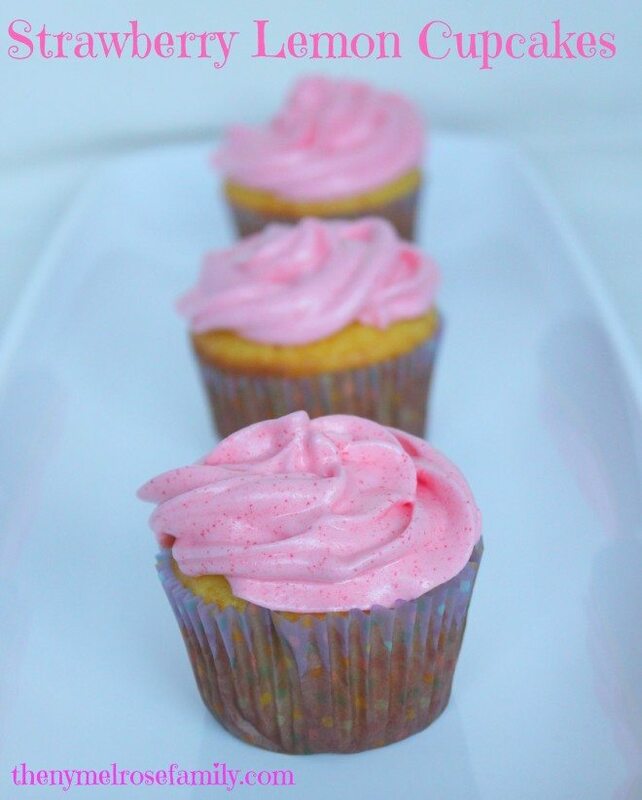 Mix the Strawberry Lemonade Cake Mix with the eggs, flour, vegetable oil and vanilla extract. Roll the dough into tablespoon size balls. Place on the cookie sheet and flatten a bit. Bake 8-10 minutes at 350 F.
Meanwhile, mix together the confectioner sugar, water, meringue powder and lemon essential oil. You want soft peaks. Once the cookies cool pipe the lemon royal icing onto the cookies by doing the outline first and then flooding the middle. 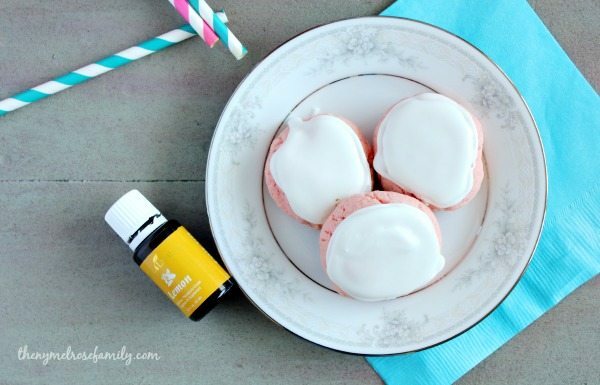 Be sure to check out my foodie friends recipes with lemon essential oils! I love strawberry and lemonade together! 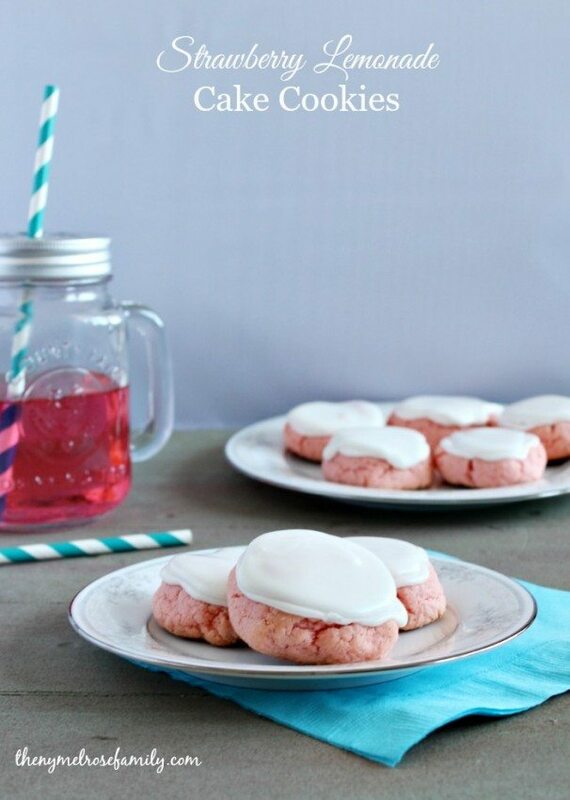 These cookies look so refreshing over chocolate, too. I think I’m looking forward to spring as well!